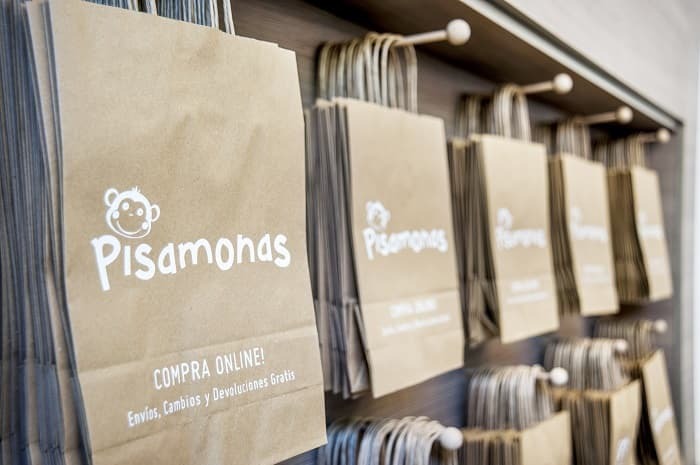 Because none of this would be possible without you, at Pisamonas we want to reward your loyalty by offering you extensive discounts and special offers. Become part of the growing Pisamonas family, and join our club! Be the first to find out the latest: news, launches, new collections and products... and enjoy our exclusive discounts and special offers. We’ll keep you up to date with all our offers so that you don’t miss a thing! Accumulate money off when you buy! For purchases over £40, well give you 1.50. It’ll be £3 if you go over 80, and so on and so forth. This will be automatically applied to your next Pisamonas purchase, both online and in any of our stores, however much you spend! You can’t accumulate these discounts and they’ll be used for a single purchase. They expire after 4 months, enough time for you to make the most of this offer! And remember that these discounts can’t be exchanged for cash! When you register, you’ll be able to save your personal details so that next time you buy with Pisamonas you won’t have to re-enter your email, phone number or card details, or you can keep your favourite products in your shopping basket. All you have to do is login with your user code and you’ll be ready to browse Pisamonas! The data collected in the registration form to the Program will be stored in the " Pisamonas Club " file, with the purpose to reward the loyalty of our members and to inform them of our novelties and of Pisamonas' commercial actions. Club Pisamonas members have the right to access this information and to rectify, cancel and oppose to it, in accordance with the provisions of Organic Law 15/1999 of 13 December on Personal Data Protection. Pisamonas guarantees confidentiality in each member's personal details.